War has no winners, only consequences, psychical, social and psychological. "Address Unknown" is a (slightly) autobiographical film, since Kim Ki-duk has stated that Ji-heum was conceived based on his own experiences, and the rest of the characters are based on people he actually knew. The story takes place in 1970, in a rural town near an American military base. The central characters live in this town: Chang-gook is a half-breed who works for Dog-eye killing dogs, whose meat is later sold in local restaurants. According to his mother, his father is African-American; he, however, has never met him. Furthermore, she keeps saying to her son that, eventually, they will travel to America and live with his father, and in that fashion, she tries to teach him English. At the same time, she keeps sending letters to the address the soldier gave her, despite the fact they are always returned, with an "address unknown" sign. Chang-gook feels ashamed of his mother's attitude and, as he frequently becomes the victim of racist behavior by xenophobic Koreans, he lashes on to her, beating her badly. However, her new boyfriend is not fond at all of his behavior, and the violence taking a new turn. 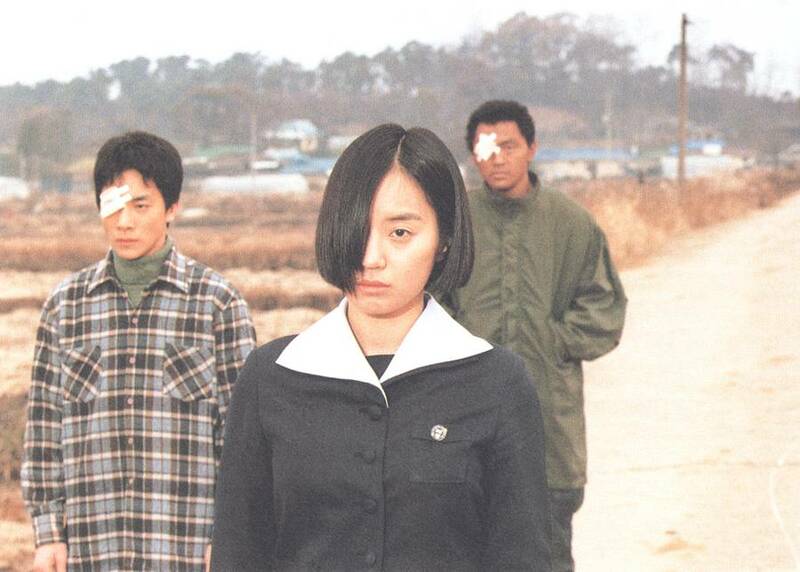 Ji-heum is a quiet and timid individual, who is deeply in love with Eun-ok. She, however, stays away from everyone, ashamed of her disfigured eye, the result of an accident she had when she was little. One day, an American soldier offers to pay for a surgery that will restore her eye, if she becomes his girlfriend. 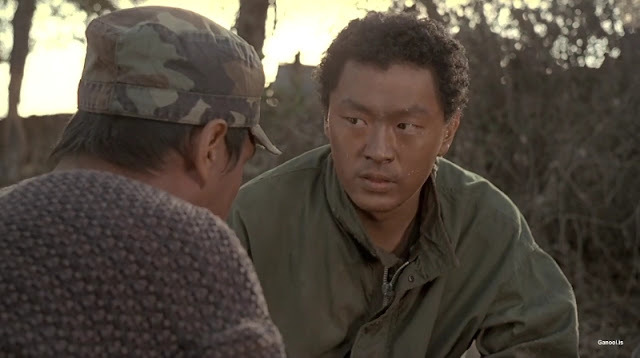 The film belongs to the Kim Ki -duk's initial phase, when he was shooting very quickly, extremely low-budget productions. The shooting for this one lasted just six weeks. Through a truly inhumane reality, Kim presents a clear message: War has no winners, only consequences, psychical, social and psychological. This dramatic essence is stressed by the fact that all the characters in the movie suffer: due to nostalgia for the past, from their treatment by the government, from their place in society and from the pain instigated by the fact that they are far away from their countries without even knowing the reason. For Kim Ki-duk, love and hate are two inseparable notions, with his characters feeling both towards the people around them, in a tendency that results from the way they feel for themselves. This notion is conveyed by Chang-duk, who loves his mother, but ends up hating her to the point of beating her, as he feels shame from continuous disgrace. "Address Unknwon" an utterly realistic drama, with Kim pulling no punches in the depiction of the violent scenes, with most of them being quite graphic. This realism is stressed even more by the low budget, which becomes evident in both Seo Jeong-min's cinematography and Ham Sung-won's editing. Somehow, however, Kim Ki-duk manages to use this in his benefit, with the production values actually fitting the film's general misery. The film features some comic scenes, but, even those, retain the permeating depression. Acting also moves in this direction, as all of the actors succeed in portraying this misery. The one who stands out though, is Bang Eun-jin as Chang-gook's mother, who is impressive in the role of a character that gets victimized by every aspect of her life. The award she received from Grand Bell was utterly justified. The sole cacophony in this department comes from the American who plays the aforementioned soldier, who, once again, left me with a question of where do they find these people? 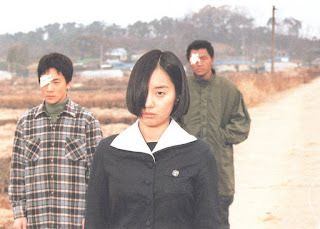 "Address Unknown" is a "heavy" drama, which becomes even harder to watch due to its low-budget, its slow pace and the extended and graphically depicted violence scenes. However, these are actually the elements that make Kim Ki-duk's world, and the particular film is a great start for anyone who wants to follow his filmography.